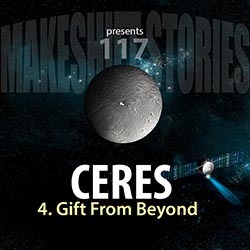 A suspicious probe from the third planet arrives at Ceres. Believing that they have been discovered and the primitive spacecraft is there to spy on the Triffle, Amos gives orders for it to be captured. Galan comes up with a ludicrous idea that will either work or kill him and his captive Aleutian mind.